I got acquainted with 2 indie bloggers on Fiverr to do up their blog logos. 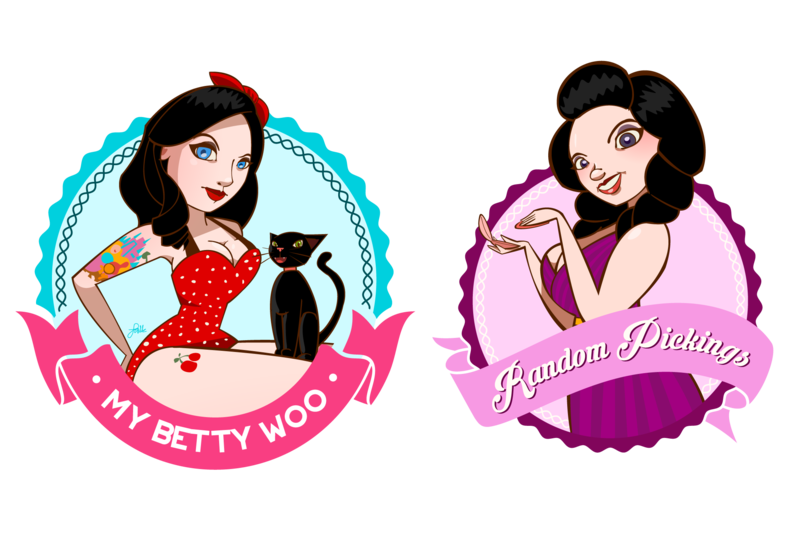 My Betty Woo blogs about the now trending rockabilly chic styles which covers make-up and cosmetics and fashion wear. Random Pickings is a beauty and cosmetics blog that covers today’s trends. Very happy to have worked with these 2 beautiful ladies. Posted in FiverrTagged blog illustration, brand, pin-upBookmark the permalink.